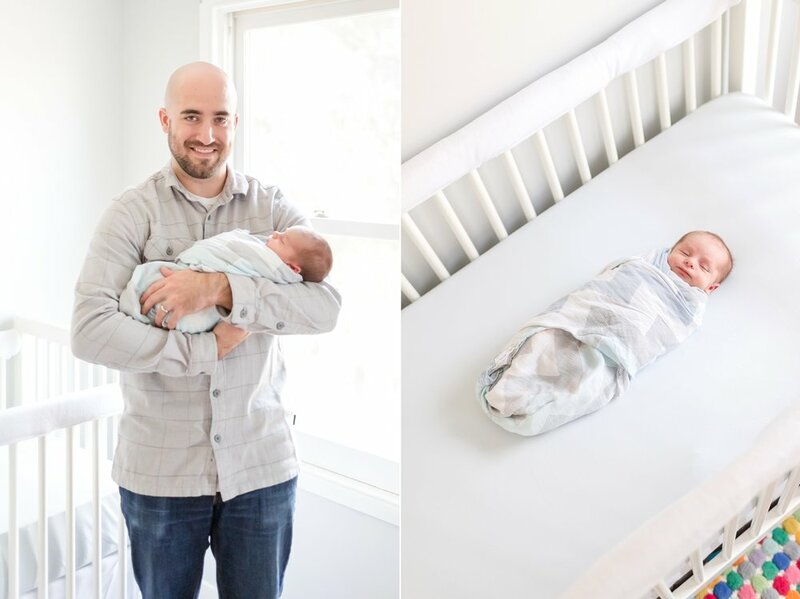 Enjoy these images of the Rineer family from Caleb’s newborn session! I love that he had his eyes open for a few! Someone kept breaking out of the swaddle! Sarah, you are a gorgeous mama! It is important with young kids to take breaks in-between photos. Abram took a break to play with his dinosaurs for a few minutes! So fun! When Sarah was pregnant, Abram thought that in the ultrasound picture of Caleb he looked like a penguin. So this adorable print of a penguin sits in his nursery since that is what Abram called him throughout Sarah’s pregnancy. So adorable!! 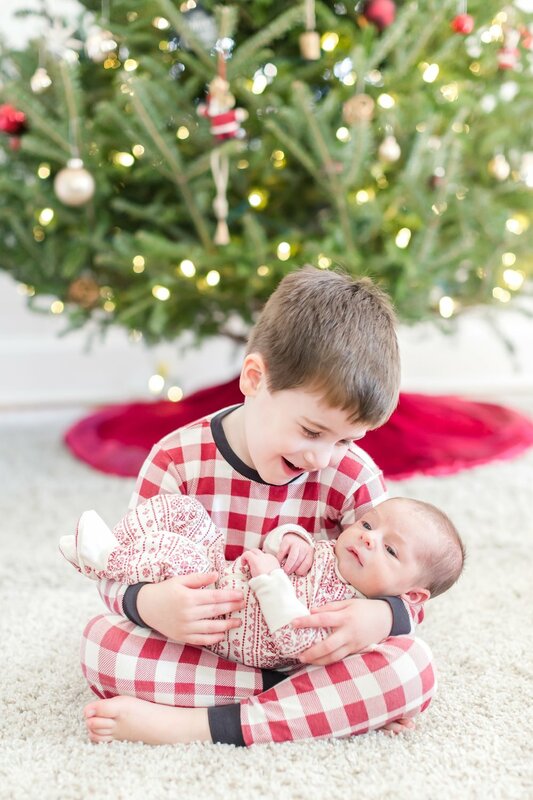 We had to get a few pics in front of the Christmas tree in cozy Xmas pj’s since Caleb is a December baby! Congratulations Jeremy and Sarah, Caleb is adorable! I love taking pictures of families as they grow. Want to see another precious newborn? 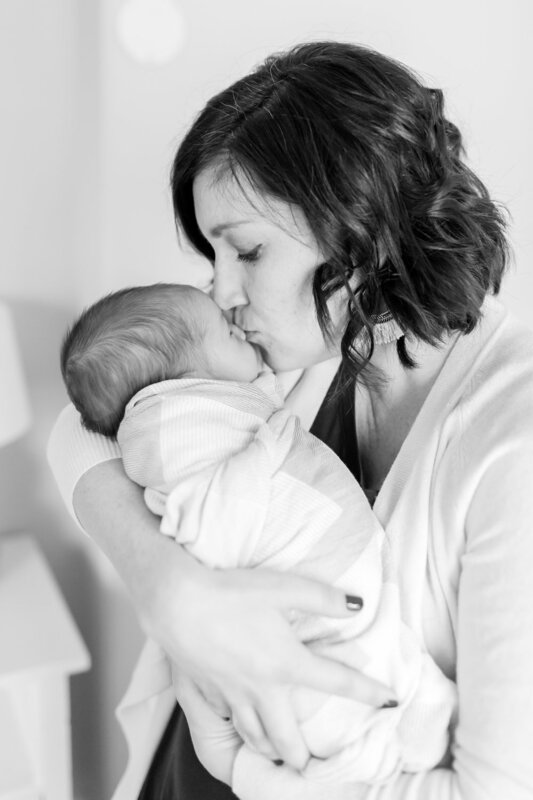 Check out baby Chloe’s newborn session with her sweet pet bunny!